Unlike most other self storage facilities, Seaboard does not use the traditional roll up door storage units. Instead, Seaboard has re-purposed shipping containers into storage lockers for both indoor and outdoor drive up storage. Shipping container lockers have many benefits over their roll up door counterparts. Firstly, these containers are much more secure than a typical roll up door unit. Our units feature heavy duty doors made out of solid steel and have another steel plate in front of the lock, making it impossible to cut the lock off. Seaboard provides the lock for all of our shipping container units. 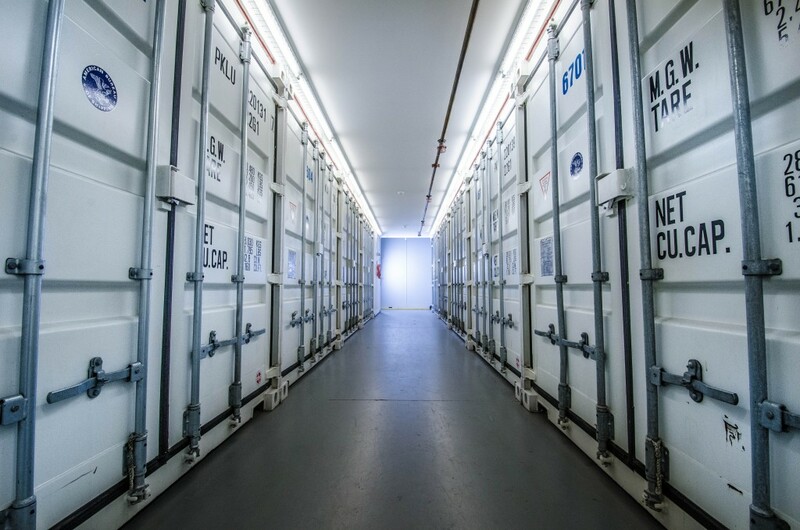 In addition to the improved security of a shipping container locker, our lockers are also fitted with rubber seals, which completely prevents any unwanted critters from getting to your stuff. Some roll up door units have sizable holes at the bottom or sides of the unit, which could potentially let in unwelcome pests. One of the concerns typically brought up with shipping containers is that they have the potential to build up condensation within them. In order to solve this, the ceilings of our units have been coated with a urethane spray to prevent moisture build up. This allows for the maximum security of your goods without the fear of any moisture damage!